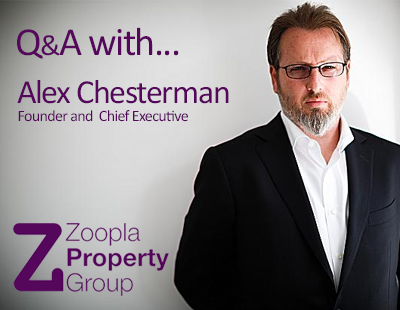 Readers of Estate Agent Today and Letting Agent Today were given an exclusive opportunity to pose questions to Zoopla Property Group founder and chief executive Alex Chesterman. Richard Newman: The launch of OTM this year has definitely given agents something to think about. Some agents have jumped on board immediately, others, like myself are carefully monitoring events first. I'd be interested to know what Zoopla's strategy is for the rest of 2015 and moving into 2016 to attempt to retain existing clients and win back those that have jumped ship. AC: We have no issue with OnTheMarket or any other competitor and, in fact, welcome competition as a means to drive innovation and value in any market. However, we firmly believe that healthy competition results from businesses operating on their merits and not on their restrictions. We will continue to focus on delivering great value for both our users and our members. 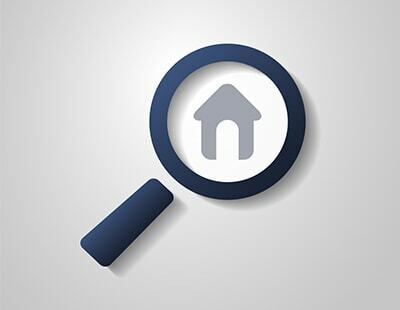 The majority of agents embrace portals as an important part of their marketing strategy and those who have been forced to give up one or more of the most-visited property websites in the UK are at a disadvantage as a result. Portals aren't the enemy of agents, quite the contrary - which is why the restrictive ‘one other portal’ rule has never made sense to me. The only reason to enforce a restriction on your customers is if you are unable to compete on the merits of your proposition. That should give agents something to think about! Anna Dickson: What do you see the plan being for Zoopla in the next 12 months? How do you plan on winning back those agents who chose OTM? AC: We are obviously always disappointed to lose any customer and ask ourselves why. In the case of those agents who have left us to join OTM, the answer seems almost entirely based on the negative restriction that has been imposed on them rather than a positive decision to enhance their business. We are an advertising medium, the purpose of which is to deliver an audience to our customers and our audience is currently more than 10 times that of OTMs. Smart advertising money follows the audience. And whilst some businesses may experiment with other mediums from time to time, it is not sustainable in the long run for any business to spend less efficiently on marketing and remain competitive. We are the most cost-effective source of both applicant and appraisal enquiries and brand exposure for agents in the UK. Many agents have already returned to us and, of course, we welcome any agent who wants to get the most out of their digital media spend. Tony Caro: Do you have any plans to dispose of the rest of your remaining shares? AC: No, I don’t have any such plans and am incredibly excited about the future of our business. You may have seen that I recently committed to my long-term future with ZPG including a further lock up of my shares. Of course it is not uncommon or unreasonable for founders to sell shares from time to time to create some personal liquidity, which is a quite natural event. Jon Tarrey: Why are most property TV adverts so naff and instantly forgettable? AC: I have no doubt that you must be referring to our competitors and am obviously unable to speak on their behalf! For our part, we try to make ads that strike a balance of being both entertaining and engaging. That said, it is not always easy to explain a proposition and make a brand memorable in 30 seconds or less, especially in a category like property. We are currently working on a new TV ad to air later this year that we are very excited about and hope it won’t disappoint you Jon. Watch this space…and please do get in touch and let me know what you think. Simon Shinerock: Alex, do you think OTM is a cartel? AC: That is a legal question, which is beyond the area of my expertise. What I will say is that I think the best outcomes for all participants in any market happen when businesses are forced to compete fairly and they are judged on their performance and not on restrictive practices, which create false outcomes. Fake Agent: Location, Location, Location or Homes Under the Hammer? On a more serious note, what was the inspiration behind the (now iconic) purple branding? AC: Location, Location, Location given Phil Spencer is a friend and brand ambassador of Zoopla. The purple branding and some might say unusual name of our business was really as result of looking for standout in what was a very crowded market when we entered some years ago. Lots of companies existed with property-related names and similar brand iconography - Propertyfinder, Findaproperty, Thinkproperty, Rightmove, Fish4Homes, PrimeLocation - to name a few and we wanted to differentiate ourselves and stand out in many ways including name, brand and proposition. Karl Knipe: Rivalries aside, do you think the industry would function far better in the interests of estate and letting agent businesses (and, accordingly, the public) with 3 major portals rather than the duopoly we had at the start of the year? If not, why not? To balance this question, I’m not advocating the set-up of OnTheMarket but thinking more along the lines of another commercial portal competing equally along the lines of Zoopla and Rightmove but with its own USP. AC: Competition is definitely a good thing and drives businesses to be the best they can be. But it is important to distinguish between real competition (quality) and perceived competition (quantity). In the portal market a few years ago there were far more players so there was greater perceived competition but Rightmove was a clear market leader without challenge. This lack of real competition led to the birth of what has become OnTheMarket, which is understandable. However, since then ZPG has closed the gap with Rightmove and provided the market with real competition which has been good for all concerned. A market with 2 strong players competing hard against each other is far better than a market with more players but no real challenger to the leader. The OFT reinforced this view with their decision to approve the merger of Zoopla and Digital Property Group and the desired outcome was achieved. OnTheMarket’s strategy to attempt to weaken ZPG is both at odds with its original objectives and ultimately not in the interests of agents as it reduces real competition. Simon Shinerock: Alex, do you think agents who have joined OTM realise it's not just the CMA but any affected commercial entity that could decide to issue proceedings under the competition laws? / Eileen Henderson: A lot has been said about how legally sound the Agents Mutual contract is and whether this could lead to competition authority issues for those agents involved. What are Zoopla's thoughts on this? 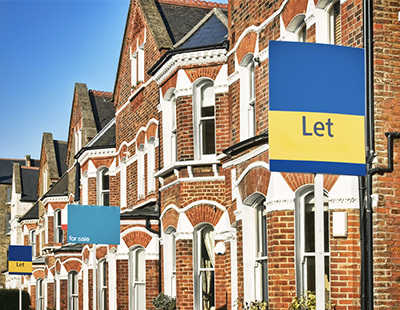 / Bridget Truvon: What is Zoopla's view on how enforceable the Agents Mutual contract is? Do think they can hold me to it Alex? AC: I am sure that the agents involved have received the necessary advice and comforts that they need. My own view, reinforced by independent legal advice we received earlier in the year, is that the ‘one other portal’ rule of OTM could be open to challenge at some point in the future. Our practice has always been to win and retain business on the merits of the services we provide and to do business with people who benefit from those services not by locking them into long-term contracts that might not be in their interest. And whilst it may sound self-serving, I find it surprising that OTM has not dropped the ‘one other portal’ restriction now that it is off the ground to remove any risk and allow agents more freedom. Without the rule in place, I would expect that more agents would support OTM provided they didn’t have to give up the market leading portals their businesses rely on. Rookie Landlord: Alex, do you understand why there is so much frustration over the high fees you charge? Do you not think agents deserve a better deal? AC: I certainly understand that there has been a lot of frustration with perceived high price rises in the digital property space. But I would like to challenge the idea that the market leading portals are expensive or don’t provide great value. Our average fees nationally are around £350 per month. Our average customer advertises around 50 properties to our audience of over 40 million visitors every month. That works out to around £7 per property per month, and the average property spends around 3-4 months on our platform, which is about £25 for the lifetime of each property advertised. In the context of traditional print media costs or any other means of exposure, I would argue that this is incredible value. And we know that portals have helped to materially reduce overall marketing costs for agents over the past 10 years (at least for those who have reduced or abandoned their inefficient print spend). I do accept that portal fees have risen quite fast, but understandably from a very low base. One of the hallmarks of the digital revolution is how fast digital platforms have replaced traditional mediums. Portals have emerged from nowhere a decade ago to now deliver the vast majority of leads and exposure for agents. At the same time newspapers have gone in the opposite direction. We have had to invest hundreds of millions of pounds in a short period to be in that position. Value is a far more important measure than price and one we focus on all the time. I believe the value we provide speaks for itself and is unrivalled by any other marketing alternatives. Simon Shinerock: Alex, do you think OTM would be in a better or worse situation now if they had targeted Rightmove rather than Zoopla? AC: I don’t think the right strategy for any business is to target another business. Portals are used by consumers and therefore the most effective strategy in my opinion, which we continue to follow, is one which focuses on attracting and engaging consumers which in turn delivers maximum value to agents. It is clear that the short-term effects of OTM have not been to weaken Rightmove and it would appear a curious strategy to target Zoopla, which has been the strongest challenger in the market, which in turn serves agents interests. But we continue to focus on our strategy and our business and less on others. Ultimately the market has a habit of sorting these matters out and those with the best proposition win the day. Steve Harwood: Will Zoopla ensure that any agents returning pay a higher price than those who stuck with Zoopla? AC: We price based on performance and charge according to the value that we deliver to our members. We do not have a policy of penalising any agents who chose to leave and then return but equally our longstanding members enjoy loyalty discounts and other benefits. Kat Tayle: Two questions from me: Will Zoopla ensure that any agents returning pay a higher price than those who stuck with Zoopla? Basically will you penalise us? Do you think that the 'one other portal rule' is a good idea or will survive? AC: We price based on performance and charge according to the value that we deliver to our members. We do not have a policy of penalising any agents who chose to leave and then return but equally our longstanding members enjoy loyalty discounts and other benefits. Whilst I understand the reasons behind the launch of OTM, I have frankly never understood the 'one other portal' rule. It serves to remove agents' control of their own businesses and damage their ability to be competitive and cost effective. I genuinely do not see how the rule benefits either OTM or its members. Without it, agents would be better off with the freedom to advertise wherever they choose and OTM would likely be better off with more members and inventory. And with more agents and a better proposition it could charge less and compete on its merits. That said, it would be a change in strategy, which is always hard for business leaders to make. I do, however, challenge those behind OTM to consider making that change for the benefit of consumers, the industry and the agents that we all serve. Bridget Truvon: It has been reported that over 100 agents have returned to ZPG. Who are they and how many more are talking to you about returning? AC: That is correct and the number continues to grow. We don’t reveal information about any individual members for obvious reasons but it is not surprising that many agents feel that they are missing out on enquiries for their properties and exposure for their brands by not being on either Zoopla or PrimeLocation which are respectively the #2 and #3 property websites in the UK. As the market stands today, around two thirds of agents are advertising their listings and brands on the #1, #2 and #3 property websites in the UK. And the other third are on the #1 and #6 ranked property websites for the same cost. I know which I would choose if I were operating an agency in a competitive market. And that is why many agents are looking to return and maximise their digital marketing presence. Of course, without the ‘one other portal’ rule, many would choose to advertise on all of the sites. Giles Hampton: You and that Ian Springett chap seem to have had a war of words of late, especially over performance of OnTheMarket so far. Do you think he has it in for Zoopla? AC: I think the media is probably more interested in creating a war of words than either of us. I have never met Mr Springett so it is hard to imagine that he has it in for either me or Zoopla. I am sure that he believes that his strategy is the right one and we shall have to agree to disagree on that and what is in the interests of agents and the industry for the time being. We have always been a performance driven business and are confident that those agents who make the most of their digital marketing and do not limit the potential of their business have a clear advantage over those who don’t. Darby Gill: I'm a big fan of Alex's. I remember back in 2001 before Google image search was as extensive as it was today cutting out a picture of him and framing it and putting it on my mantle piece. I would like to know what his star sign is? And also Pepsi or Coke? AC: Darby, whilst I assume that this question is a joke, I have committed to answering all the questions submitted! I am not quite sure how to respond other than to say I am very flattered and a Capricorn. Until recently I drank 3-4 cans of Coke a day, but I then cut it out completely as the only change to my diet and lost half a stone. So if you get nothing else out of this interview perhaps that is a useful tip and you could update the photo to a newer slimmer version of me? You can read the first set of Chesterman's responses here. Fair answers. Really decent of him to do this interview. A small part of me hoped he would be less dignified around OTM but that's the Daily Mail reader in me getting out. It's interesting that given the chance to confront who they see as the great beast personified that the usually very vociferous OTM supporters are conspicuously missing. I think if you look you will find them huddled together somewhere making strange grumbling noises. Nice to get a response. Thanks, Alex. When I see the new advert, I'll be sure to let you know my opinion! It can't be any worse than the Purplebricks abomination that is currently on our screens seemingly every day! Ah, Alex. I'm a Homes Under the Hammer man myself. Have never understood the appeal of Location, Location, Location. To be fair, A Place in the Sun is my favourite. But I digress. Where was I? Oh yeah, agree with you about the branding. Distinctive and (now) iconic. It was also a clever shout to go for a name like Zoopla, which has nothing to do with property per se, but is now instantly recognisable. It's a very hard thing to get right - branding and advertising - but when it is done well, it can have great power to change and shape opinion.